85" female just turned 6 years old, and added >3" TTT last year. She is on pace to make Club 90. 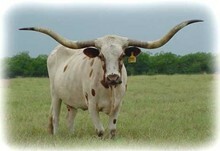 Pedigree includes famous 80"+ cows that set the TTT standard such as Starlight, Feisty Fannie, and Tari Graves FM49.